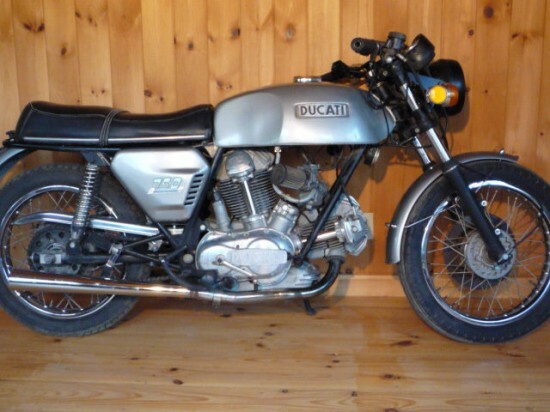 The Ducati 750GT was the original Everyman Ducati Twin: the SS was a hunched-over, solo-seated racer for the road and the Sport basically deleted the fairing and added some vivid colors. 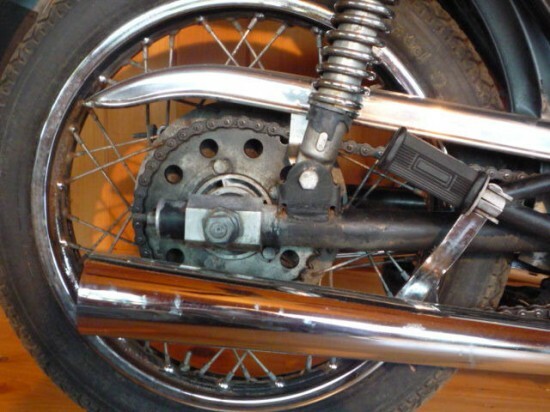 The GT had humane ergonomics and a dual seat, but kept the throbbing v-twin with tower-shaft driven cams, although it lost the now-familiar desmodromic valve actuation and used conventional springs instead. 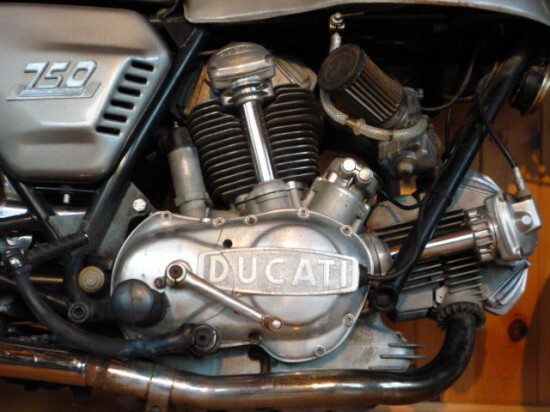 Production began in 1971 and really introduced Ducati’s twin to the road-riding public, predating the sportier SS and Sport models. With the introduction of the 860GT, the rounded style of the engine cases were replaced by a more angular look. While this may have seemed like a wise move towards modernity at the time, collectors have decided that the earlier, rarer, rounded-style bikes are more aesthetically pleasing and therefore more valuable. 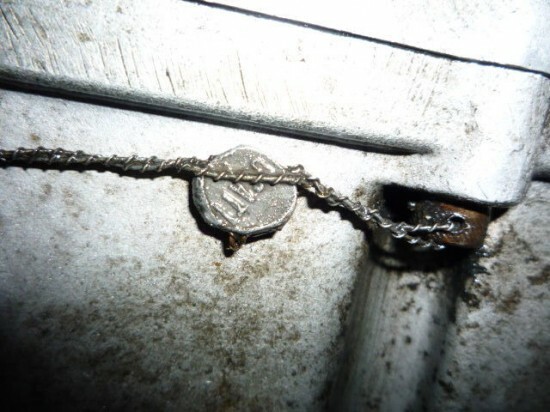 This 1975 DUCATI 750GT WAS LAST REGISTERED IN 1983…the original owner was “asked” by his wife to stop riding, and he stopped riding…he stopped riding the DUCATI, and watched it sit in the corner of his garage for THIRTY YEARS…I have cleaned the bike only enough to see what is present…I am not a DUCATI expert by any means, but I know bikes in general, and it is obvious that this is a RARE UNMOLESTED example of this great bike…the bike turns over with good compression (owner oiled, and turned the motor regularly, and rolled it in gear)… transmission shifts, and engages the gears…I removed the front Brembo F7 caliper intending to rebuild it…it will go back on the bike AS IS…new owner will be responsible for the rebuild…there is no battery…I have not started it, and will not try to start it…Odometer records 14,547 miles…this is actual miles since new..
Now that’s a pretty cool detail, and the photos are neat to see. Something to keep an eye out while you’re browsing these at your local vintage bike gathering or prowling eBay for your next ride. Interestingly, the 860GT was introduced in 1974 to replace the 750 which, in typical Italian car and bike form, makes it likely this was an earlier bike that simply went untitled until 1975. Any experts out there care to chime in on this? 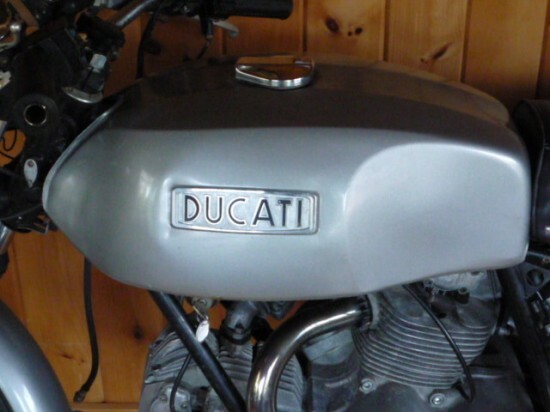 It is fairly common for many Ducatis imported into the US by Berliner to have been registered or titled with incorrect model year information.